Color picker is a must-have tools for web designers and developers that useful to select, adjust and combine colors for their project. This tool allows you to select, define, copy, duplicate and provide you with color value in color models such as HEX colors (web color), RGB (Red / Green / Blue) and HSL. Nowadays, a dynamic color scheme is popular among web designers, from flat and metro user interface to material UI design colors. Choosing a right color schemes for website is not easy task, you will need a lot of inspiration, examples and experiments to find the most suited color combination for your website. Fortunately, there are plenty color picker tools available that help you to generate color schemes and palette in easy and effective way, you can also use a ready-made color combination generated by the community on their site. Here are some of the best color picker tools for graphic and web designing. 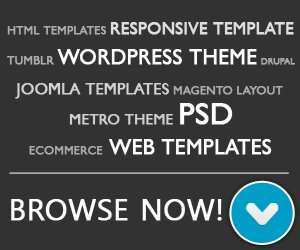 This tool will save your valuable time and speed up your web designing process. Colordot / Colordot is a simple color picker designed by Devin Hunt. 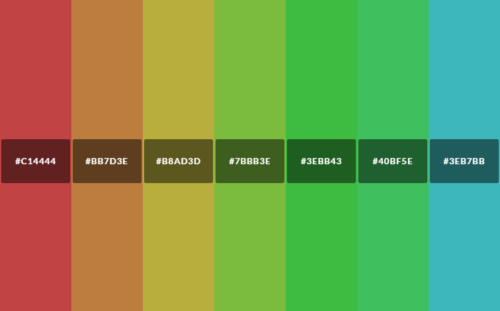 This awesome tools is useful for crafting colour schemes. Just drag your mouse around to select a color and click to save it to the palette. Piknik / Similar to Colordot, but just to pickup one color with , Piknik is a simple yet gorgeous color picker tool, brilliant when you need to see your color in full screen. w3schools / A simple HTML Color Picker (RGB, HSL, CSS) from w3schools. htmlcolorcodes.com / HTML color picker to browse millions of colors and color harmonies. TinEye Labs Color Extraction / Upload and extracts color palette of individual images or sets of images. Color extraction works for JPEGs, PNGs, and GIFs. html-color-codes.info / With the magic of HTML5 you can get colors from any image with this simple online tool. colorcodepicker.com / Grab the color palette from an image by uploading your own image (jpg, png, gif) and get the color scheme of the image (RGB, HEX and HSL). Colllor / Colllor is a free tools to generate a consistent web color palette with just a few clicks. This tool will let you find the exact value of darker shades of any color. colourco.de / This tool allow you to pick colors based on hsl. 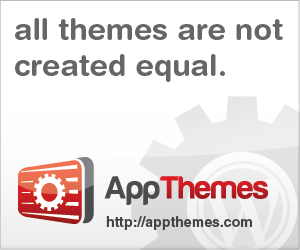 Scheme-mode with monochromatic, analogical, complement, triad and quad colors. flatuicolors / Useful flat user interface color picker with perfect colors and codes used for flat designs variations. Coolors / Coolors is a great color scheme generator to find a nice matching palettes and export your beautiful color combination or save it. 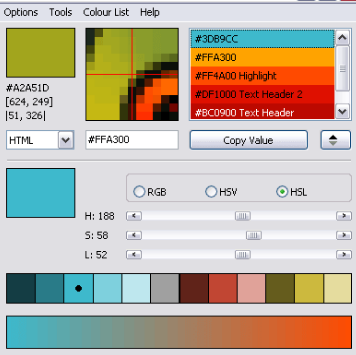 Paletton / This tool provides powerful tool to create color combinations and palettes of colors that work together well. The major advantage of Paletton is it’s not using the modern computer and engineering RGB color space, but it’s built on a classical artistic color wheel, applies classical color theory and works within a specially created RYB color space. Color Wheel / This tools allow you to create color schemes with the color wheel or browse thousands of color combinations from the Color community. COLOURlovers / Creative community that provide color inspiration as well as tools that make the creative process as simple as possible, useful for looking a color palette to kick-start your next design project. ColorHexa Search Tool [ Chrome ] / ColorHexa useful to provide full information about any color. Gradient Generator, Color Blender and much more. Eye Dropper [ Chrome ] / Eye Dropper is open source extension which allows you to pick colors from web pages, color picker and your personal color history. It allows you to pick color from any webpage or from advanced color picker. ColorZilla [ Chrome | Firefox ] / It’s one of the most popular Firefox developer extensions to help you to get a color reading from any point in your browser, quickly adjust this color and paste it into another program. ColorPick Eyedropper [ Chrome ] / An eye-dropper & color-picker tool that allows you to select color values from webpages. Sharp Color Picker [ Firefox ] / A full featured color selector tool, to work with colors, and easily find the colors you want. colorPicker [ Firefox ] / A very simple extension for learning web page colors. Copy the RGB or Hex color code of any pixel displayed in your browser to the clipboard (in CSS/HTML format). Firepicker [ Firefox ] / Simple color picker plugin for Firebug. Adds a small color picker dialog when editing a CSS rule in Firebug. The addon scans for values that can be parsed as CSS colors (#abc, rgb(1,2,3), blue, red etc.) and displays them in a drop-down list right below the firebug’s CSS editor box. Rainbow Color Tools [ Firefox ] / It’s a free Firefox addon with a color picker tool and eyedropper + saving colors and trying out colors with drag and drop. Another web developer tools: The Best Web Developer Tools (Chrome Extension) and 15+ Firefox Add-ons for Web Developers. uigradients / A handpicked collection of beautiful color gradients for designers and developers. ColorZilla CSS Gradient Generator / A powerful Photoshop-like CSS gradient editor. The Ultimate CSS Gradient Editor which has an ability to specify gradients using pure CSS3, without having to create any images and use them as repeating backgrounds for gradient effects. bennettfeely / The CSS background-blend-mode property blends the backgrounds of an element: colors, images, and gradients, together with Photoshop-like blend modes. CSS3 Factory / CSS3 Factory is a simple CSS3 Gradient Generator with HEX and RGB output format color. CSSportal / This generator will produce CSS Gradient code using a simple graphical user interface. The CSS code that is generated will work in all browsers that support CSS3. The generator will produce code for linear gradients and also radial gradients. Just Color Picker / Just Color Picker allow you to identify the colors, saving, editing and combining them into beautiful color combinations. Webmaster’s Toolkit / Webmaster’s Toolkit is all-in-one utility that allows you quickly measure the size of objects on the screen with pixel ruler, picking the color value from any pixel of the screen and alter or produce your own colors with the Photoshop-style Color Picker. ColorPix / ColorPix is a useful little color picker that grabs the pixel under your mouse and transforms it into a number of different color formats. Instant Color Picker / Instant Color Picker, you can quickly pick and copy colors values in different formats. ColorPic / ColorPic is a free color picker software that allow you to grab palettes of up to 16 colors at once and use four advanced color mixers to select a spectrum of possibilities.